Huge Storage Capacity Never face the odd situation when you want to go on clicking more photos and the device memory signals a low space warning. 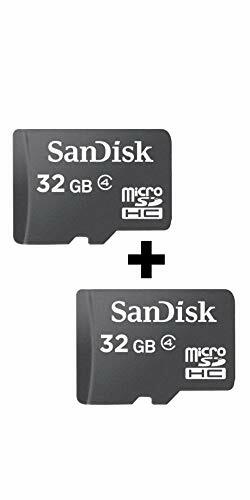 The SanDisk Class 4 microSDHC Flash Memory Card gives you large 32 GB of storage space in which you can nicely accumulate your favourite movies, music, videos, games, apps and more. Compatible with all SDHC-ready devices, the microSDHC Flash Memory Card can be a useful accessory for your smartphone, tablet, camcorder, digital camera etc. and help greatly enhance its storage capabilities. Ideal for HD 720p Resolution Videos More space on your device means the ability to photo-shoot HD 720p resolution videos even for long durations. This Class 4 microSDHC Flash Memory Card allows you to make video recordings in high-definition quality up to 720 pixels resolution so that you can create some eternal memories.